We Do The "Hard Loans"
If your credit score is between 600 and 639 (or case-by-case down to 560) we may be able to qualify you for a home purchase loan through the FHA. 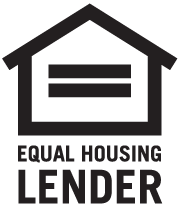 Southwest Funding, LP (NMLS #32139) is an equal housing lender. This is not a commitment to lend or extend credit. Programs, rates, terms and conditions are subject to change without notice. Terms and conditions apply. All rights reserved. Contact us for details. Consult your accountant about tax deductions.